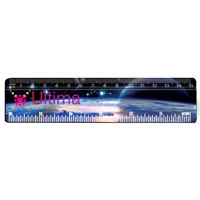 We have a great range of promotional rulers, including calculator rulers, recycled rulers and scale rulers. We also have a selection of 6inch/15cm printed rulers and 12inch/30cm printed rulers. All our promotional rulers can be printed and personalised with your company logo, brand or message.